This article will appear in the upcoming issue of Sword&Scales, PLF’s quarterly magazine. Sign up to receive the magazine here. The U.S. Supreme Court delivered a major victory for PLF client Edward Poitevent on November 27 in the case of Weyerhaeuser v. U.S. Fish and Wildlife Service,the infamous “phantom frog” case, involving the feds’ abuse of the Endangered Species Act through critical habitat designations. But the decision is more than just a win for one client; it’s a big win for private property rights and government accountability.The Poitevent family has owned timber-rich land in Louisiana since the 19th century. In the 1990s, Weyerhaeuser Company acquired a lease of the Poitevent property for its timber operations, and Weyerhaeuser also purchased a small piece of the land. 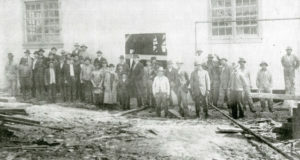 Workers at the Poitevent family mill, circa 1900. However, in 2012, under cover of the Endangered Species Act, the U.S. Fish and Wildlife Service (FWS) designated more than 1,500 acres of the Poitevent property as a “critical habitat” for the endangered dusky gopher frog. This designation jeopardized development plans for the property that had been in place for years; it amounted to a de facto uncompensated taking of the family’s property for the sake of the frog. To add insult to injury, no one had spotted the frog in Louisiana within the last 50 years and the species would not even survive on the family’s property if it were moved there. The only place the frog is found today is nearly 70 miles away from the property—in Mississippi. By locking down land on behalf of a frog that does not and cannot live there because the conditions of the property do not support the frog, the federal government—by its own admission—took an estimated $34 million in economic activity away from the Poitevents and from Weyerhaeuser. If ever there was a case for PLF representation, this was it. 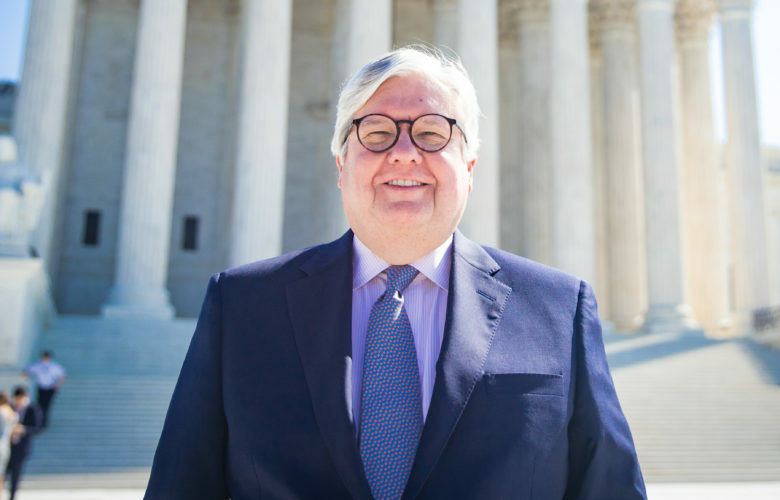 Our longtime environmental group leader Reed Hopper took the case on at the administrative level and saw the case up to the Supreme Court. Upon Reed’s passing last Christmas, a team of PLF attorneys worked together to ensure that the Court delivered justice to the Poitevent family. The Court unanimously ruled that the FWS must show that a “critical habitat” for an endangered species must in fact be a habitat for a species before it can be designated as such. But the importance of this Supreme Court decision extends beyond environmental law. It also contains an important defense of judicial review of decisions made by executive branch agencies, a critical step in holding those agencies accountable. Ultimately, this defense of judicial review may end up being the most important part of this ruling. The case is now remanded to the Fifth Circuit to be considered anew in light of the Supreme Court’s unanimous decision. Sign up to receive Sword&Scales magazine here.